I have visited Leura many a times having lived in Bathurst for four years to attend university. However I had not been back since I moved back to Sydney until last weekend when we were in the Blue Moutains for a work conference. 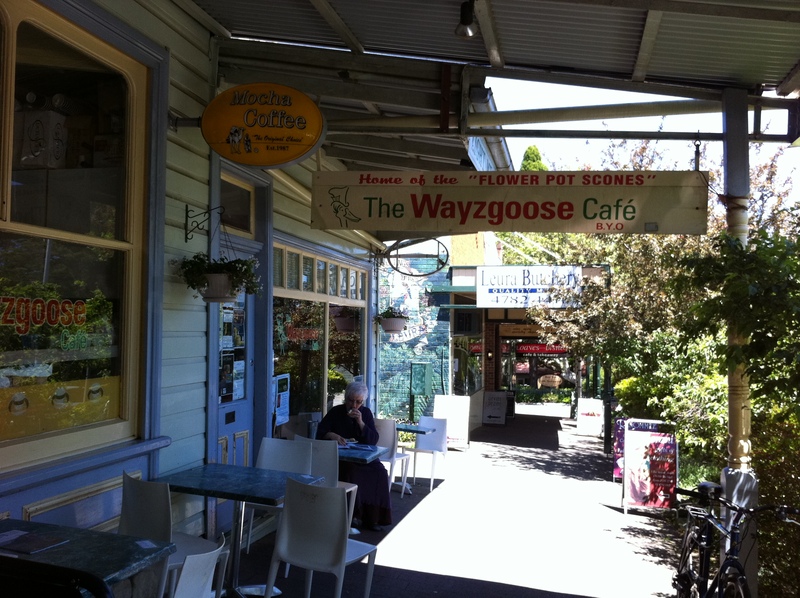 On Saturday we decided to go for a bush walk and then have lunch in Leura and I was very excited to re-visit The Wayzgoose Cafe. 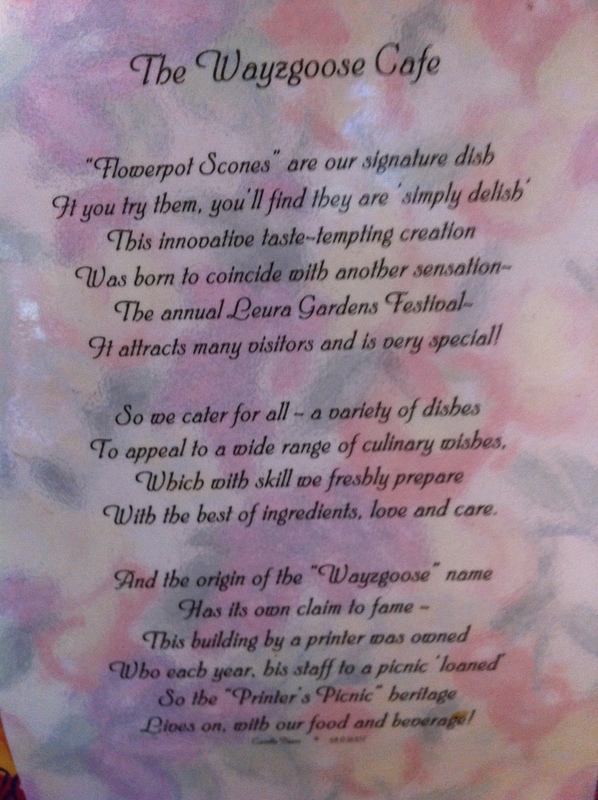 Unfortunately since being diagnosed as a coeliac I can no longer have the signature dish at The Wayzgoose Cafe, Flowerpot Scones, however this gave me the chance to try some of their other food. What I wasn’t aware until I attended this time was that The Wayzgoose Cafe label all gluten free and vegetarian food on their menu and also PGF (possible gluten free) options. 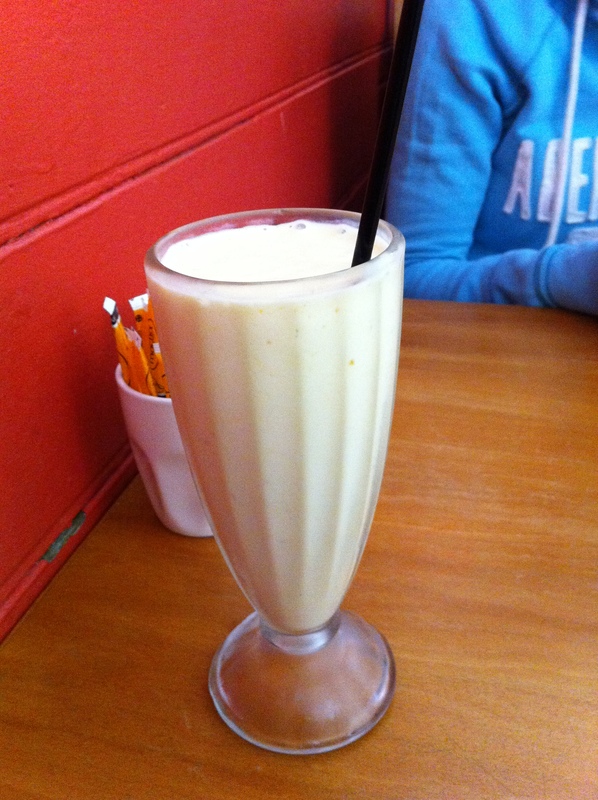 I decided to have a mango smoothie (although I have to say I was concerned about ordering this as have had some pretty ordinary mango smoothies recently) which the waiter highly recommended and a char-grilled vegetable stack with haloumi. 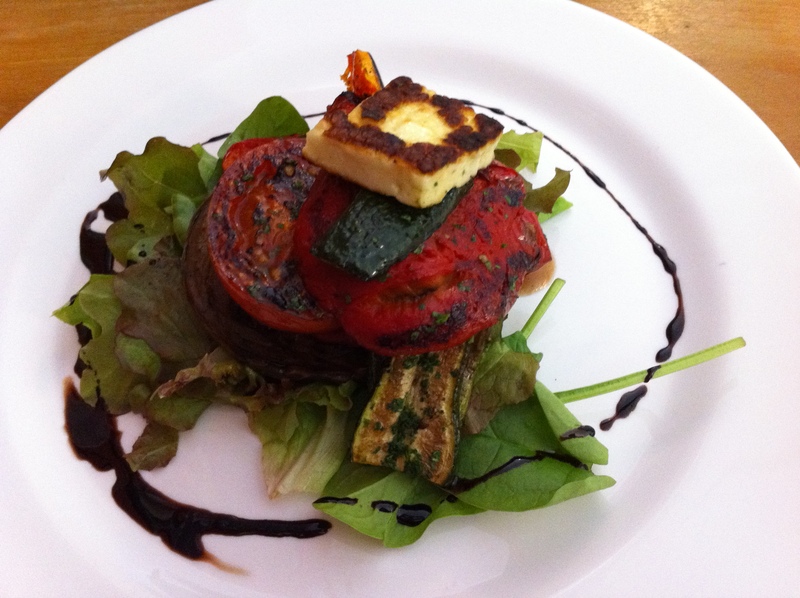 I wasn’t after a big lunch having had a big breakfast and considering I love haloumi I decided this was a good choice. Both the drink and meal were amazing and just what I was after. Everyone was happy with their choices which included the bruschetta (apparently the best bruschetta that my work colleague has ever had!) and the dips platter. 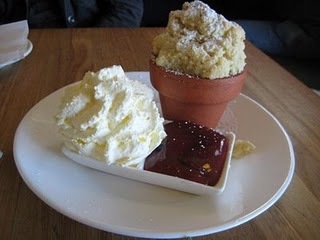 Next time you go to Leura don’t leave without trying something at The Wayzgoose Cafe and if you aren’t coeliac, gluten or dairy intolerant I urge you to try the Flowerpot Scones, they are amazing! Have to admit I can’t see myself being in that area of the world any time soon but it looks like a lovely place and some lovely food. Would you mind me parphrasing and using on my site? I would obviously back link to the article. Sure – feel free to paraphrase it. Although I was a bit naughty when I went there and ate bruschetta, it was really great food with appertising presentation. Next time I’m in that neck of the woods I’ll definatly be heading back.